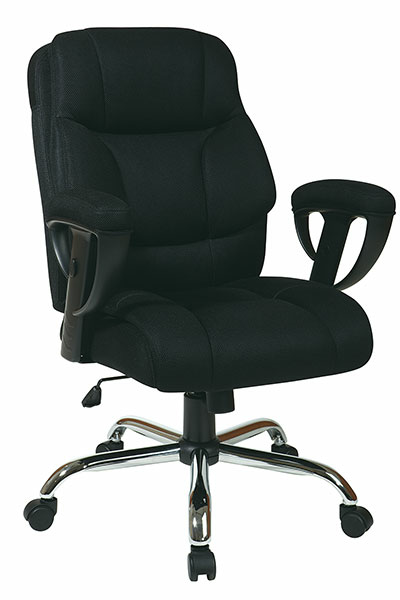 Executive Big Mans Chair with Mesh Seat and Back, Padded Height Adjustable Arms and Chrome Base. Supports up to 350 lbs. Pneumatic Seat Height Adjustment, 360 Swivel Seat, Pivot Tilt with Tilt Tension and Tilt Lock.